Annual Maintenance has always been the most prominent component of any enterprise as it always ensures the longevity of the systems, peripherals, networks and the servers in specific. 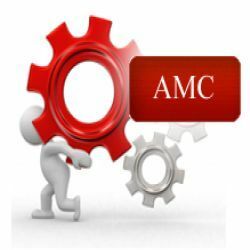 VRS Technologies have always delivered premium services as a part of the IT AMC Dubai (Annual Maintenance Contract). We deliver a wide range of services which ensures that the entire IT/network department runs flawlessly; we have efficient technical experts who bring their own expertise, added as a valued advantage into the system. Secure your business through the annual maintenance contract, offered by VRS Technologies, Dubai, UAE. Engage and further securing all system operations with the maintenance contract. One of the key points to be successful in today’s world is to maintain the quality and improvise on the same consistency. We have always been instrumental in rendering the end-to-end maintenance of the system, which would ensure seamless operations as far as the systems are concerned. VRS Technologies have always been appreciated to accommodate the professional expert team who are extremely Skilled to resolve all the technical queries. Our modus operandi has always been to troubleshoot the potential problems both on-site and off-site modes. We lay emphasis on the constant feedback system from our clients; the suggested improvements would be executed and implemented at the quickest available time. A Systematic check is performed on a regular basis and certain customized solutions are well-intimated to the customer in advance. The software maintenance has always been to protect the software program which is well defined by the technical partner who is in charge of maintaining the software program functionality through a proper maintenance contract. The maintenance always ensures to have an instance of the software installer copy in the system network and further notifying the customers if they need any authentication codes. We maintain complete reliability and qualified service to our customers. Total protection with reference to the virus & spyware elimination. As a part of data recovery and backup, we ensure 100% efficiency and security at work. Additional benefit with VRS, on par with the annual maintenance contracts in Dubai, UAE. As per the data recovery initiative, we undertake the regular driver updates and defragment of the hard drive. 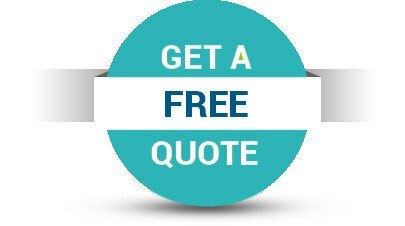 We believe in delivering right & premium Annual Maintenance services / IT AMC Dubai of our VRS Technologies to respective clientele. If you want to be one and not one among the others, be a part of VRS Technologies, who could only assists you very graciously with range of exceptional services. Please revert back to us or call us at +971-55-5182748 / 04-3866001, to know more about Annual Maintenance Charges (AMC).